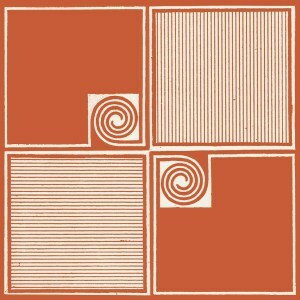 Worship The Sun is the second album from the LA-based, Allah-Las. Out now on Innovative Leisure. I’m standing in a hot field at Green Man Festival 2013, waiting for Allah-Las to start their set. This California-born, psychedelic, indie riot of a band has a very blatant fan base waiting impatiently at the front of the arena. This becomes more evident as they arrive on stage, sunglasses on and hair unkempt, to squeals and hoots from a handful of people that quickly becomes an ocean. Seeing them live only enticed me to review their second album even more, Worship the Sun, hoping to remind myself of what it was I saw and felt that day in sunny Wales. Straight off the bat, ‘Artifact’ and the two tracks prior can be classed as an American’s take on the British Invasion. Miles Michaud’s vocals take on the iconic twinge of a Beatles member while the constant throbbing of bass guitar hints towards an ode to the more modern Arctic Monkeys-esque bands of today. Tracks like ‘Ferus Gallery’ and ‘De Vida Voz’ emanate the sound of the sixties, with classic Americanised guitar solos giving off a distant, echoing rumble from one headphone to the other. The album, by a few tracks in, is quite simply a summer anthem come-too-late. As you delve deeper, you reach ‘Nothing to Hide’ and the ever-so-charming ‘Buffalo Nickel’, both of which take on a Kinks vibe with uncomplicated guitar riffs and, “Ba-ba-bah” chanting that’s likely to be stuck in your head for the rest of the day. Unfortunately, once you’ve surpassed the first eight tracks, you hit a bit of a wall. ‘Follow You Down’ gives off the impression that this is all the band has. There’s no change in tempo, vocals or harmonies; thirty second guitar riffs become a staple item, leading Allah-Las into a monotonous trap. ‘501-415’ and title track ‘Worship the Sun’ verify this, and it’s the first time since pressing play that I feel the urge to press stop. On a more positive note, the album is not unlikeable. It’s very peaceful to listen to, almost ambient – with instrumental tracks such as ‘Yemeni Jade’ playing host to a sound that will have you reminiscing about the sun on your skin on the beach. Reaching the end, fast-paced country track ‘Better Than Mine’ gives a hint of a beat you can dance to – a first in the album. Sadly, this comes too late and the aura of anticipation has very much worn off. Allah-Las are talented and very obviously influenced by a past time, and though my excitement dwindled by the end, Worship The Sun allows the band to show themselves as more mature, stable musicians than they were on their eponymous debut release. They just need to cut down on the guitar solos.